I will always be able to say I was in attendance at the first RPR level 2 course in Chicago. This was a priority for me because of the personal experience I have had implementing the system. This spring I was in preparation for a powerlifting meet and suffering from a lumbar disc. 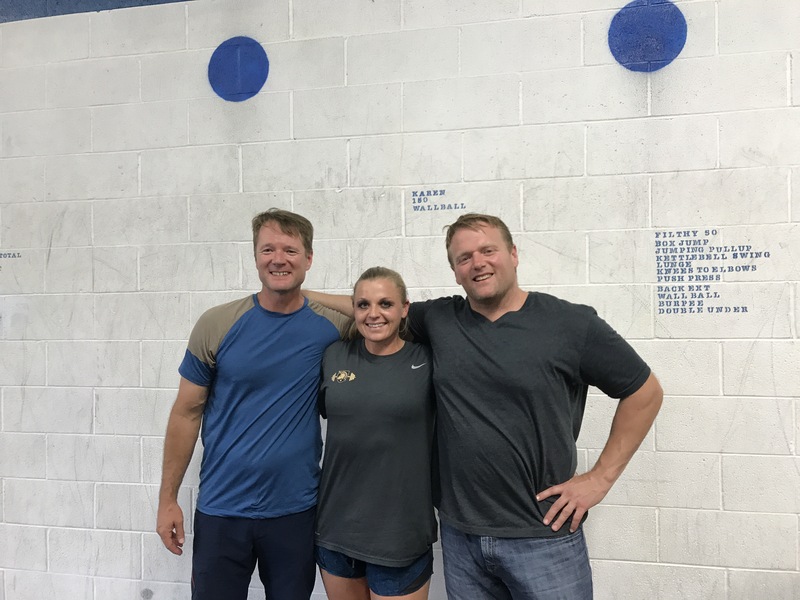 I attended the RPR level 1 in Columbus, Ohio in February and this new hands on knowledge I felt would enable me to manage the injury to hit the total I wanted. I did not expect everyone around me to understand or support how devoted I was to my training, but when it comes to a commitment only the one vowed can establish the personal value. Following the successful meet I underwent a microdisectomy. This allowed me a fresh start to erase years of compensation and now as I return to my former strength levels I can confidently engrain the right neuromuscular patterns with utilizing RPR. Progress has been at rapid pace due to RPR and I am grateful for this game changing system as a coach and athlete and that I was able to attend Level 2 and integrate even more pathways of the body. If you were going on a cross-country roadtrip I bet you would want to carefully select who comes along. The last thing you need is a backseat driver, annoying passenger, random hitchhiker, or nagging navigator. You would want the trip to be as painless and quick as possible, each person in the car would need to stick to their role. Extra pee stops, arguing, wrong turns, and traffic violations are going to slow down the trip and if the travel party is working together they can avoid these setbacks. Let us think of each movement as the route on a trip and your muscles are your passengers in the neural chain Nissan. A Nissan because these do not even have to be fancy movements, but daily essential movements that you just want to be solid. This would be something as simple as posture, walking, and breathing and who needs a flashy backflipping sequencing Ferrari when you are logging miles. Each muscle involved in a movement can under or over contribute and force other muscles to do more or different roles than they were meant to do just like an overstepping passenger. We want the right driver to drive. Someone that can keep eyes on the road, make good time, has a decent playlist, and won’t fall asleep at the wheel. The body is the same depending where you are going you will need a specific driver. The driver is the initiating muscle and the one contributing the most for the trip. Hip flexion is a movement we must all perform or go to. Our bodies will find away to get there, even if the best fit for the trip are not able to get in with their seatbelt fastened. The body can be broken down into zones 1, 2, and 3. These zones work from the inside out. 1 being your abdomen region, 2 being upper portion of lower and upper extremities, and three being your most distal points. The optimal way for the body to sequence hip flexion. Is the psoas, then quad, and then tibialis. This would be a 1,2,3 sequencing pattern which correlates with the muscles location within the bodies zones from the inside out. Daily habits, overuse, weakness, and stress are all reasons why the psoas does not act like the psoas. After a quick assessment, you can tell if someone is driving with the right muscle. If not we see if it is the shotgun rider stepping in. The quad can take on the load of the psoas making the movement pattern 223 or 233. The quad cheat pattern or 223 is when the quad acts as the psoas and the quad. The quad taking on both roles puts the individual at risk for ACL tears, and tendonitis in the knee. Think about the one riding shotgun they are supposed to change tunes, and maybe help with navigation, but they should not be the ones relied on and reaching over to take the wheel. A tibialis cheat pattern or 233 is when the quad fills in for the psoas and then the tibialis must fill in for the quad. You would not want someone in the backseat navigating, because they cannot see the road ahead and would have to unbuckle to change the music. This puts the whole vehicle at risk or experience an injury. The tibialis taking over the large quads assigned job increases the risk for shin splints and engagement from the jaw, arm, or calf is then assisting in hip/knee flexion. If testing reveals the quad is not acting as a prime mover for any role then the pattern is 333. The tibialis is acting as the psoas, and quad or getting help from the calf, jaw, or arm. Calf drivers are putting their ankles at risk. Arm drivers can develop shoulder, and elbow injuries and jaw drivers are more prone to concussions. This slew of injuries all lead back to the psoas not being prepared to drive the car. As easily as the firing pattern testing was in a coaching setting your time still may be too limited to implement the full scope of the tests. RPR level two helped give examples and clues to reading an athlete on the fly to help narrow the selection of which resets to quickly apply. For instance, knowing your athletes injury history can help narrow where you think movement is being driven from. Each sequence was given a list of common injuries. Also a component of a great coach is being able to read people. When you are working on an athlete notice their body language. Do they grip or fist the table when in pain or when they are scared. You may very well have an arm driver. Or when they exert effort do large neck veins pop out with a clenched jaw, you, most likely have a jaw driver. Another clue is if they wear a mouthpiece and chew it constantly. The level 2 course I feel differed from level one from the differentiation in testing in both sides of the body. We were shown how right and left can have a different sequence and drivers. Level one the take a ways were diaphragmic breathing and the relationship with the psoas and the posterior firing sequence of glutes, hamstrings, and erectors. This course I felt more opportunity was given to see unilateral discrepancies. For instance my right side was driven by my tibialis/calf (333) and my left was driven by my quad (223). This made perfect sense being I just underwent a microdisectomy on my left side and the healing nerve root runs down the posterior chain and there is noticeable atrophy in that calf. My firing sequence posteriorly was driven hamstring, erector, glute (231). The pull from the hamstrings and erectors shifts the pelvis anteriorly to where the muscle fascia from the ribcage to the psoas is shortened causing shallow breaths and a raised ribcage which inhibit firing. This leads us back to the psoas not taking the drivers seat in the anterior sequence. Once you know what muscles drive the neural sequence you can try and figure out why this muscle needs a reset. Was the one assigned to the wheel in need of some caffeine, texting and driving, stressed or another muscle being tight inhibiting it to function. Level one showed one variation of how to get the glutes to fire, but for this reset to stay other areas with adhesion and overwork must be forced to relax. For me this was the adductor magnus and working on this region and piriformis allowed my glute wake up drill to last longer reset. Building on this concept we could explore new regions of the body with resets. Arm drivers needed addressing the brachialis and hand regions. Jaw drivers were forced to relax regions of the face, inside the mouth, and neck. Shoes were off and ankle mobility was addressed to lighten the load of the tibialis. A look at thoracic spine mobility and quadratus lumborum length visually even changed the density of the erectors/psoas. These resets I like to think of as the distractions to keep the kids in the backseat entertained and the “are we there yet?” questions to a minimum thus allowing the driver to drive. The final portion of the day was spent on vision and how we can determine someone’s depth and peripheral comfort at all distances. Giving a variety of focus points for the eyes and an isolated strength test you can find at what point in the field of vision breaks down. Once a weak quadrant is identified resets and repetitions of that focal point can be performed to help the individual be more neurally in tune with seeing that field. Connecting the vision with resets is very applicable to a coach helping an athlete, because in sport slow reactions from the inability to see is detrimental to performance and like weakness puts them at risk to be hurt, despite all the strength they may in fact have. On the roadtrip if your vehicle is the nervous system then the tires would be your vision. Full, good trekking tires are essential to keeping the vehicles body riding smooth and not swerving off the road. Many Strength coaches possess more extensive knowledge on movement than they get the opportunity to use. We are pulled by time constraints, sport coach demands, and large group settings that can make blocking off time for individual firing assessment debatable if it means one less training day. However, RPR is a efficient, proactive way to accomplish this task. The resets can be generalized for everyone in a warmup and simple to teach so athletes can perform wake up drills on themselves. This allows everyone to stay on route, by making a more durable, explosively firing athlete. Level 2 broke down the source of each zones faulty movement pattern and went into greater detail of how not only to fix it, but relieve the stress of all contributing parts. Inspection of athletes now with RPR is allowing us to let each muscle passenger know what to pack before we load the bodies to reach the furthest destination possible. This entry was posted in Rehabilitation and tagged comeback, gohard, microdisectomy, reflexiveperformancereset, strengthcoach. Bookmark the permalink.